As long time users of Microsoft Windows know, not every release is an upgrade. Windows 95 was sort of usable, while Windows ME was not. Windows 98 worked, but Windows XP was the first really stable version. Vista was a dog. Windows 7 was XP on steriods, but with a disturbing trend of hiding the plumbing. Windows 8 is unusable for a desktop user, and suspect for a tablet. As much as it would be nice to just stick with what works, the Microsoft licensing machine does not let vendors sell old versions of Windows, and one inevitably is forced into the latest release when buying new equipment. So it was with some trepidation that I launched into an installation of Windows 10 Technical Preview. Going by past experience, this should be the version that is "good", redeeming the madness of Windows 8. 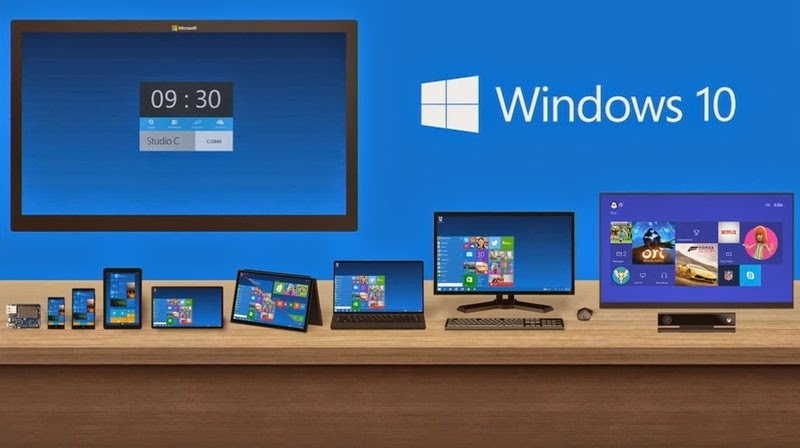 I downloaded the Windows 10 Technical Preview from Microsoft's site dedicated to Windows 10. The trick is to download the .ISO version of the file. There is no need to burn the file to a DVD in order to install - the VMPlayer can read it directly. Rather than dedicate a whole machine to the task, I created a virtual machine using the free VMPlayer from VMware. One of the options is to create a new virtual machine, which I did, specifying 2 processors, 4 gigabytes of memory, and pointing to the newly downloaded Windows ISO file as the install source for the OS. Setup ran without a hitch, the install rebooted, and I was looking at the login screen for Windows 10. I logged in with my account, and then kicked off the install for VMTools. This is the extra software that makes moving between the VM and host computer easier and more integrated. The last task was to go into the VM menu and set networking to Bridged mode so that the Windows 10 installation could see the local LAN as well as the Internet. At this point, things looked pretty normal, and I was feeling optimistic. The desktop is showing Build 9841. The Start button is back. I don't have large, motion sickness-inducing, live tiles littered around the screen. I can get to functions I know are in the OS without massive treasure hunts. I installed Firefox (it works) and VLC (it works). I ran Windows Update, which grabbed one updated patch and updated definitions for Windows Defender, which is now automatically included with Windows, and replaces Security Essentials. By then, it was way too early in the morning, and I headed to bed. Next job - installing SideKick 98. If that doesn't install, it is game over for Windows 10.